At this point, they are thinking about their future career, dating, the temptation of drugs and alcohol, deciding what is okay to view on their phones and computers, and the list goes on. As adults, all of those decisions are still challenging for us! So, remember back to your junior high days, which thankfully, are just a blur in most of our minds. Reflect on the moments and people that played an important role in your life. Leaders, you have the opportunity to help students understand that in every situation they face, and each decision they make, their best choice is always to follow God. 1. When they love, or don’t like, who they see in the mirror. Pride can come at you from both sides as a junior high student – either you are full of yourself or you struggle with low self-esteem. It’s rare to find a student who is balanced and doesn’t deal with some sort of issue with pride – in fact, most of us still struggle as adults. Their bodies are growing and changing, almost daily. For some students, this gives them a boost in their ego, as that skinny boy that started in the 6thgrade turns into an 8thgrader growing a mustache and gaining muscle. Students might begin to show interest in dating relationships as their hormones are going berserk. This is an opportunity for students to make a commitment to God to remain pure and holy in their relationships before they fully enter the teenage years. Then, there are those who literally hate the stranger that has suddenly appeared in the mirror. Their previously perfect skin is suddenly acne-filled and no matter how many times they shower, they still look greasy. Not to mention that their peers are happy to point out the changes in their appearance. This is the time to remind students who they are as a person is much more than just skin deep. Focus on building good character. Help them find their identity in who God says they are and teach them how to deal with criticism from others, and from themselves. 2. When they feel accepted, rejected, or alone. 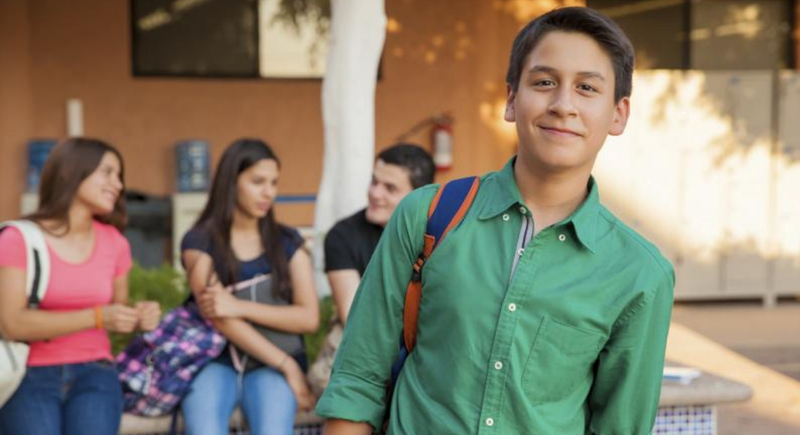 As adults, we know that popularity is overrated, but junior high students often find their self-worth in their circle of friends. Students look for acceptance and inclusion from their peers and it can be completely devastating when they don’t receive it. As leaders, it is difficult to watch our students encounter rejection and loneliness. And while our affirmation is valuable, a personal understanding of God’s unending love can fill the void that their heart is searching for in relationships with others. It’s not easy. As leaders, it can feel like a continuous investment of time and effort, reminding students that the feelings they are experiencing are temporary, but God’s love for them is eternal. It’s worth the time and effort. God can use your words and voice to make a huge impact in a student’s life. 3. When they are making decisions about their future. Careerplanner.com has a list of over 12,000 careers in their database. How does a junior high student choose a path in life? And what should they study in college? Or should they even go to college? It can be overwhelming for students to think about, and for those of us still paying off student loans, it’s hard to even know what path to suggest for their lives. You have the opportunity to help students recognize their God-given strengths – they are there, but maybe they haven’t become obvious to them quite yet. elp remove some of the pressure they start to feel at this age by reminding them to trust God to show them what decisions to make for their future. On the outside, your junior high students might look like they have it all together or they are a complete mess. They might seem hungry for the deep things of God, or can’t quote John 3:16 to save their life. Your students need someone to believe in them and encourage them in their relationship with God. Whether you ever see it or not, you are making a difference. Look for those pivotal moments, partner with parents, and watch your students follow God’s voice in their lives.